Welcome to my website. 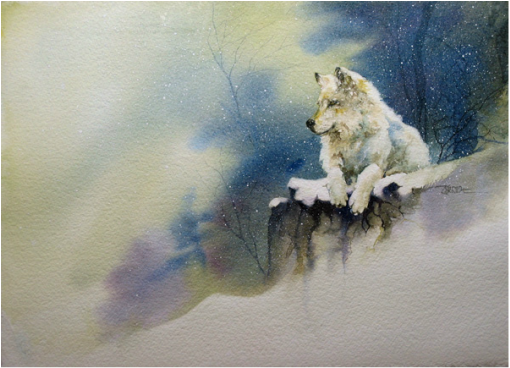 What you will find here is a sample of work that reflects my love of nature, and my desire to capture the ‘spirit’ of my subjects using Watercolor and other water media. Watercolor satisfies my need for adventure, while I’m creating, by offering spontaneity to the painting process. Living in the Upper Peninsula of Michigan, I draw inspiration from the natural beauty surrounding my lake home in the Ottawa National Forest. Wildlife and natural landscapes are my favorite subjects, painted in a style best described as impressionistic realism. To add diversity, I also paint florals and abstracts inspired by my gardens and surrounding vistas.